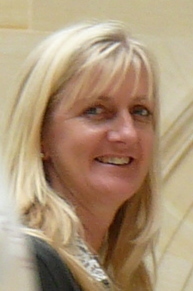 Penny worked as a landscape designer from 1985–1992, and then as a Senior Lecturer, Department of Landscape Architecture, Unitec Institute of Technology until April 2016. Her Masters degree focused on the biodiversity and management of tree collections in Auckland, and her ongoing research into Auckland’s urban forest has seen her convene an RNZIH conference titled “Plants as Green Infrastructure” in 2006. She also established the Unitec Arboretum through documentation and labeling of campus trees, and the establishment of an online website at www.unitec.ac.nz/trees. The next phase of the research funded by Unitec is to expand the concept of mapping Auckland’s urban forest on a GIS platform. Penny is the current chair of the Auckland Branch Committee of the RNZIH, which organises branch newsletter and trips, administers the James McPherson award and has commissioned tree registrations of Auckland trees on the Notable Trees Trust register.